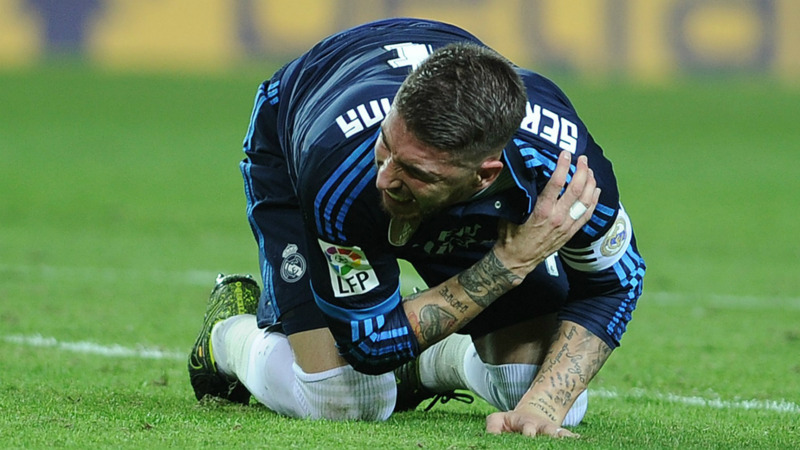 Sergio Ramos could miss Real Madrid’s next eight matches due to an ongoing shoulder problem. The 29-year-old injured himself in the Champions League clash with Shakhtar Donetsk in September and has been struggling for the last two months. Rather than take the necessary time to recover, Ramos has continued to play due to the importance of many of Madrid’s recent fixtures. He was only able to feature against Paris Saint-Germain, Atletico Madrid, Celta Vigo, Sevilla and Barcelona thanks to pain-killing injections, though. This eventually caught up with the Spain international and when he fell awkwardly in the recent loss to Sevilla he did further damage to the injury. Another injection helped him through the Clasico last weekend, but he will now take time out of the game in a bid to put an end to the problem which has plagued his season so far. However, for now at least, the decision has been taken to avoid surgery. Medical sources have it that these type of injuries usually require at least a one month rest – although that depends on the patient and the severity of the damage. Presuming that is the case, Ramos will be out of action until late December. During this time he would miss the following eight matches: Shakhtar Donetsk, Eibar, Cadiz, Getafe, Malmo, Villarreal, Cadiz and Rayo Vallecano.